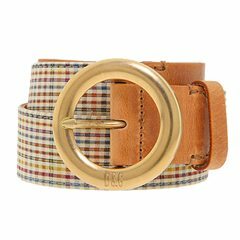 Add interest to any outfit with this colorful belt. Logo detail on buckle. 1 ½ wide. Made of calfskin leather and fabric. Made in Italy. 7.00 oz. Free shipping in the USA.